The Marphe Quartet is a somewhat obscure group but one made up of truly remarkable youths. They will be performing at the 11th Side International Culture and Arts Festival on August 23. The members of the Marphe Quartet are all incredible young talents from different parts of the world. The depth and breadth of their combined skill is perhaps exceeded only by the diversity of the group’s composition. …Martyn is quickly establishing a reputation as one of Britain’s finest young talents. 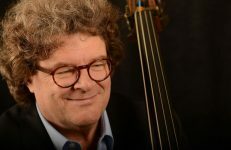 Already an accomplished solo performer, he has given numerous recital and concerto performances throughout the UK, The Netherlands, Germany, Austria, Switzerland, Croatia, Italy and Israel. Alongside his emerging concert career, Martyn currently studies under Professor Itzhak Rashkovsky at the Royal College of Music, London. 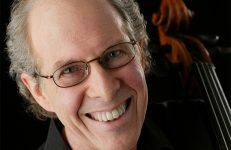 He previously studied with Professor Jan Repko and Baroque and Classical Violin with Dr. Deirdre Ward. Aged 10, Martyn was invited by the conductor Sir Simon Rattle to appear in the Channel 4 Documentary “Don’t Stop the Music”. More recently Martyn featured alongside internationally renowned violinist and conductor Schlomo Mintz in the Holocaust Documentary Film “Amnon’s Journey”, a film depicting the intricate relationship between musicians and their instruments while giving voice to a lost generation. He has also broadcast live on Süddeutsche Radio and on BBC 4 television. Martyn recently won the 1st Malvern International Young Musician’s Festival 2009 and was the recipient of the 2008 Musician’s Benevolent Fund Education Violin Award. 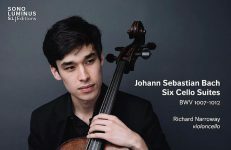 A string finalist at the BBC Young Musician of the Year 2006 and recipient of the 2005 Junior Royal Northern College of Music Rohi Gazder prize for violin are amongst other notable achievements. Jackson isn’t the only accomplished musician of the group. 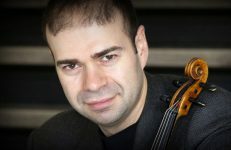 The other violinist, Eren Kuştan, is a native of Turkey and won 1st Place in the “Gülden Turalı 2006 International Violin Contest.” He is currently studying for a Masters in Music at the Hochschule für Musik “Hanns Eisler” in Berlin under Professor Stephan Picard. Kuştan has performed concerts with prominent orchestras in Turkey and throughout the world. The quartet’s violist, Australian Stefanie Farrands, currently studies in Berlin with the renowned Tabea Zimmermann at the Hanns Eisler Hochschule für Musik Berlin. She received the Georgina Grosvenor Memorial Scholarship at ANAM in 2008, and in 2009, she was awarded a scholarship at the Sydney Conservatorium of Music. Last year, she won a full fellowship to attend the Aspen Music Festival here in the US where she studied with Masao Kawasaki. Finally, representing the United States with pride is Marina Warsaw-Fan from Massachusetts. 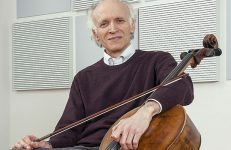 A bit of of an early bloomer, Ms. Warsaw-Fan started her study of the cello at age four and performed the Bréval Concerto with the Merrimack Valley String Orchestra at age eight. She also won the Essex County String Competition the same year. She studied at the New England Conservatory of Music where she had multiple solo performances and received direction under several acclaimed instructors. She also co-founded the Breal Quartet, which won NEC’s Quartet Fellowship and took part in the Britten-Pears Quartet Academy. The Marphe Quartet’s concert is an exclusive and free program of the Side Festival (which started July 23 and runs through mid-September) supporting young jazz music players. Side is a hub for jazz lovers and young artists. The festival attracts tourists and locals alike. The Marphe Quartet will provide the opportunity to discover young Turkish talents. As a Turkish himself, Kuştan will play a leading role in this. 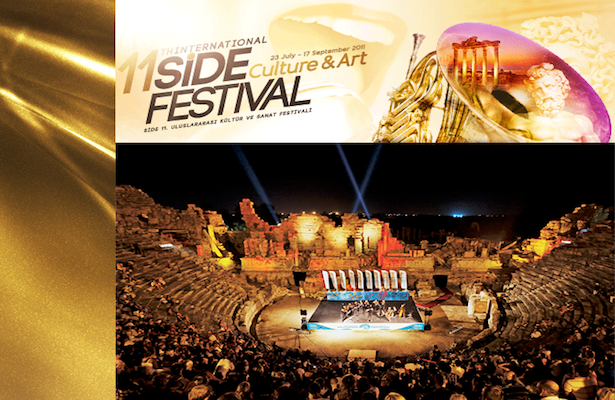 The Side Culture and Art Festival promotes and supports cultural heritage, and it also focuses on passing the love of music to younger audiences. You can read more about the Marphe Quartet on the Side Festivals’ website where you can also learn about the festival.